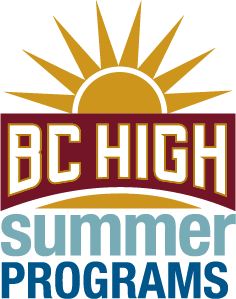 At BC High we provide a variety of enrichment course specifically designed to enrich a middle schoolers (6-8th grade) education. Courses are designed to enhance their learning and prepare them for the upcoming school year. This course is designed for students entering 6, 7, and 8 grade who need to improve their English grammar and writing skills. Students will review vocabulary, basic grammar, basic writing skills, paragraph unity, and coherence. Students will also read short works of fiction and write critical analyses based on their reading. For boys and girls with or without musical experience! Come create beautiful music using hand chimes, xylophones, and drums. We will play vocal games, learn singing and breathing techniques and practice the basics of singing in an ensemble. This program will also combine different aspects of music, listen to a wide variety of music genres, discuss composers and develop the ability to understand music language. At the end of the two-week program students will conduct a grand performance for families and friends.